I’m glad you finished A Wrinkle in Time! And your reaction is so very different from mine–even as a kid I loved Meg *because* she was so beligerent. She goes through a lot, and I don’t think her story would have been all that effective if she hadn’t been such a sulky little brat. Plus, I was totally that weird kid when I was growing up, too. I also like that in all of her writing L’engle treats her readers like they’re smart enough to figure things out for themselves. She trusts the reader to eventually figure out enough about what she’s trying to get at to not belabor the explanation. Oh yeah, and she’s definitely a Christian. Her nonfiction is pretty explicit about that. But I think her writing embodies the absolute best sense of what it means to be Christian. To close this rambling comment, House Like a Lotus and A Ring of Endless Light are both excellent books. The former is about Meg and Calvin’s daughter Polly, who goes through a similar growing up process, and the latter explores a teenager’s contemplation of death. They’re both rather lighter on the supernatural stuff, but they’re both brilliant and beautiful. My son loves this book, but I’ve never read it. Great review. Loved this as a kid and I just bought a new copy a while back. I really want to read it again. I’m actually listening to this book at the moment – I haven’t read it since childhood. I remember A Wind in the Door not being super-fantastic, but A Swiftly Tilting Planet, the third book in the series, is probably one of my top five favorite books of my childhood, if not of all time. 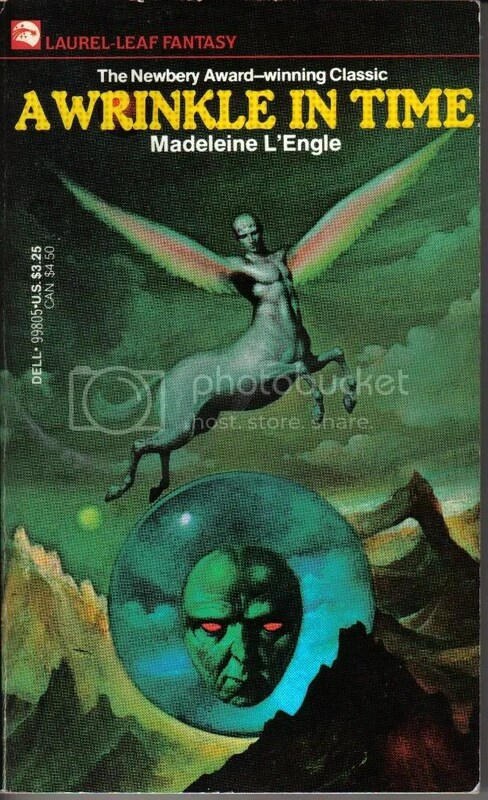 I read “A Wrinkle In Time” in school in a reading group and it was awesom! My reading group teacher got the whole series and we are going around with the books and turns reading it.